Hopefully everyone will know about this wonderful service soon and will be able to have access to it. Ellin, very interesting piece. One of the few things very clear to me when Marilyn and I married — was that I wasn’t prepared to be a father – at age 48. I was aware of many of my character flaws and seriously questioned whether I had what it takes to be a) a supportive spouse and) b) a supportive parent. I’m still working on “A” so I think I made the right decision. Everyday, something comes up to remind me that I am still a work in progress. Are there doulas for men? Just curious. 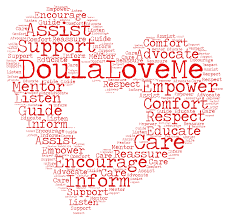 Doulas would help anyone develop the confidence to deal with a baby. They probably work with fathers too while they are helping the moms. Boy you got that right. I watch in absolute frustrated amazement as people raise their kids exactly the same way they were raised – which in many, many ways was a often a very poor education – especially when it was a bad childhood. The sins the fathers are visited upon the children – as they say. And the cycle goes on and on. I could dearly have used even a cursory tutelage in life’s journey. 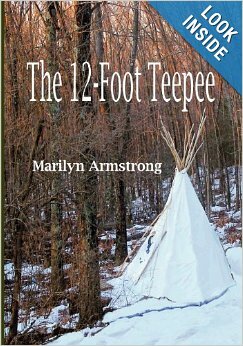 Even basic survival skills – how to drive, open a bank account … a million fundamental things apart from rearing children – that I was never taught at home. It’s still a crap shoot and many suffer. Unfortunately, the doulas can only help parents deal with infants. The next 18 years, you’re on your own! There are wonderful, thoughtful books out there today that talk pragmatically about every stage of child development. If you didn’t have a good parental role model yourself, these books can give you a good groundwork. I learned to do a lot of intellectual stuff, but there was so much fundamental stuff missing. Handling money, for example. Investment. Cooking. Some of it I eventually learned — very late, sometimes too late. A little teaching early on could have saved me a lot of pain and agony. Ellin, you’re absolutely right on this one. Young mothers need a lot of help to prepare for motherhood. In addition to practical tips that Doulas can give, the most important thing they do for new moms is give them the confidence to trust their instincts. Worrying that you don’t know enough is the biggest problem new moms face. So a little knowledge plus a little self assurance can go a long way. Ellin, I read this with amazement! Never even heard of them here – but then I’m the same age as you and didn’t have access to anything like that. – But boy would I have liked to know one of them super women!!! Isn’t it amazing, we can have great educations but becoming a parent is just so hazardous. Nobody prepares us to be a loving, competent and cool parent – we just ‘have to know’…. This is great news!